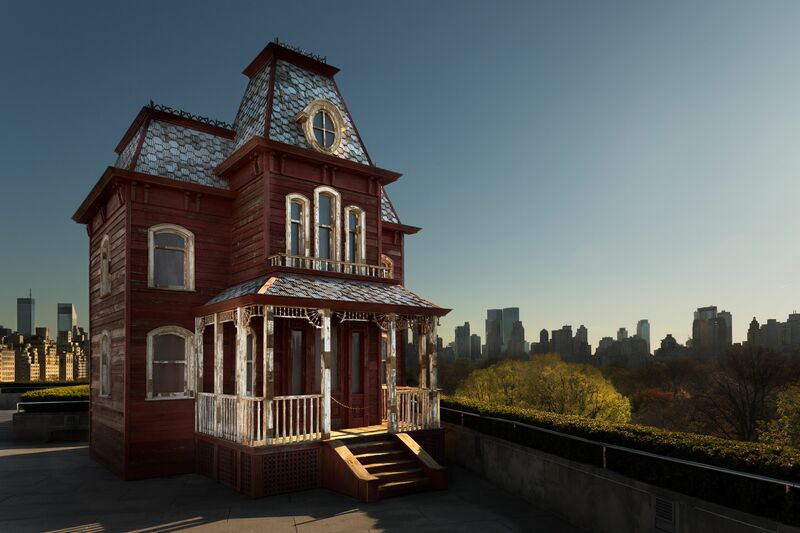 In 2016, Cornelia Parker installed this replica of the house from Hitchcock’s Psycho on the roof of the Metropolitan Museum of Art in New York city. It’s made from repurposed wood from a red barn; the title of the work is Transitional Object (PsychoBarn). This entry was posted in Uncategorized and tagged 2010's, 21st Century, Alfred Hitchcock, Architecture, Art, Conceptual Art, Cornelia Parker, Film, Great Britain, Houses, Museums, New York City, Psychology, Women. Bookmark the permalink.